The overall goal of the Super ADAM project is to provide state of the art neutron reflectivity to the Swedish research community. Thanks to a major upgrade started in 2013, Super ADAM has crucial features required to meet contemporary challenges in reflectometry. Super ADAM is operated by Uppsala University and is financed by the Swedish research council. Its tenue at ILL is governed by CRG-B type contract CRG – Cooperative Research Group – a group of the instruments located at ILL but owned by external institutions from the member and associate countries, which means that 30% of the beamtime is allocated according to decisions made by the ILL scientific committees (ILL beamtime), while 70% of the beamtime remains for the internal use (CRG beamtime). Super Adam (Figure 1) has a high-resolution option that provides a highly polarized (up to 99.8 %) monochromatic neutron beam. This mode is complemented with polarization analysis for specular and off-specular scattering, and is very well suited for investigations of magnetic thin films and multilayers. This permits investigation of lateral domain formations, magnetic behaviour of nanoparticles and dynamics in artificially patterned magnetic media. A typical sample size is of the order 2×2 cm2. The standard sample environment is a He-flow cryostat combined with an electromagnet providing temperatures down to 2.5 K and fields of up to 1.1 T. With these conditions, measurements of two spin states take around 3-4 hours with resulting data covering 5-6 orders of reflectivity. Moreover, it also counts with a higher unpolarized flux, better control of the beam size/shape and a new instrument control software that enables to perform experiments on solid-liquid interfaces on Super ADAM. Moreover, Super ADAM hosts a number of educational efforts, training and outreaching activities aimed to promote neutron research within the Swedish research community and to train the “next generation” of scientists. Bringing in new users, and taking them trough from some form of introduction to initial discussions through to proposal, doing the actual measurement and analysing the data and eventually writing of manuscript is a labour intensive, time consuming and slow process. 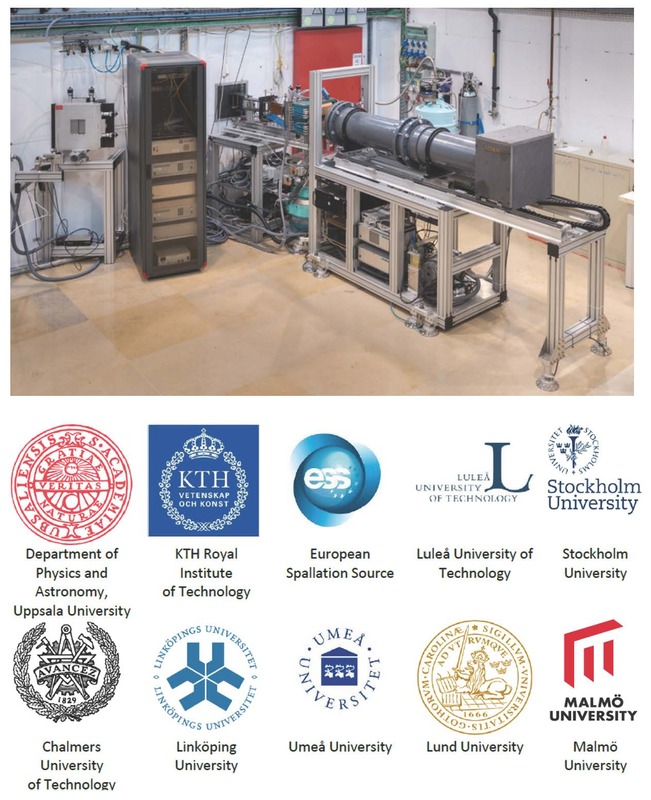 However, Super ADAM project is very efficient in this respect and the most recent results will be presented in a series of three highlights to be published in the SNSS newsletter for December 2018 to February 2019.